Thank you for signing the Guest Book for Charlotte (Charlie) HINES. Please take a moment to sign the Guest Book for Charlotte (Charlie) HINES. I express my deepest condolences to your family for your! 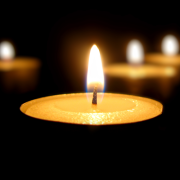 The staff of Cancer Council would like to send our deepest sympathies for your loss. Thank you for your kind and generous support during this sad and difficult time. Send me a daily email when updates are made to the obituary or Condolence page for Charlotte (Charlie) HINES.